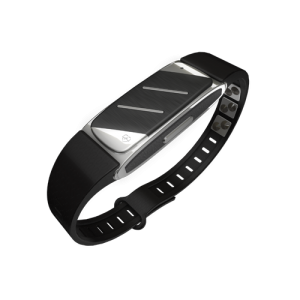 Helo LX – Measures Blood Pressure, ECG/EKG, Heart Rate, Breathe Rate, Steps and more! 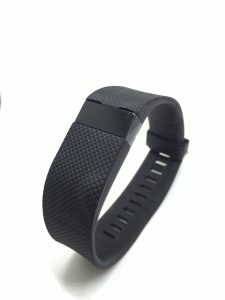 So about a month ago, I wrote about my frustrating time with my Fitbit Charge HR which I have owned for less than a year. 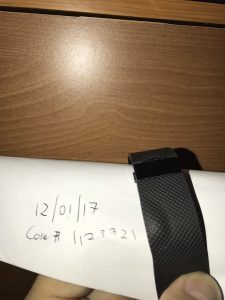 I wasn’t satisfied with the quality of the product as the device couldn’t power on within a few months, started peeling and bloating at the band which cannot be replaced. After the 3rd replacement, I think enough is enough. Time to move on. My colleague moved on from the Charge HR to the Blaze which costs $300++ here in Singapore. I wasn’t inclined to remain loyal to Fitbit as this was already my 2nd Fitbit product and technologies used isn’t exactly groundbreaking either. After searching for almost a month, skipping mainstream brands such as Apple, Garmin, Fitbit, Jawbone, etc, I caught sight of the Helo (Pronounced Hee – Lo). I was initially skeptical. How the hell can this device measure some of these vital signs without cuffs, needles and such? As a technology savvy person, I had my reservations so I questioned the company and did my research and found that PPG (Photoplethysmography) is used by many products such as Apple Watch, Fitbit and more for their Heart Rate detection. From my investigation, a PPG signal offers much more than just your heart rate. For example, a simple Google search on PPG ‘s role in blood pressure measurement yields plenty of medical articles on them such as this. They key takeaway is that PPG is able to provide reasonably good estimations of the blood pressure measurements in a continuous manner (due to the portability of the Helo) which is impossible to achieve with a standard blood pressure measurement device with a cuff. You can’t really go about your day with a blood pressure machine attached to you all day with the air pump going off every 30 minutes to inflate the cuffs right? Vital signs measurements are useless if no one sees them (or only you see them). We tend to procrastinate about going to the doctor or seeking medical treatment when we are not feeling that good. This is usually because of the fear of being diagnosed with something serious. Isn’t it the case that your spouse, parents or children are the ones who will drag you to the clinic or hospital when you let slip that something isn’t right about you? Spend some time thinking about this! Working together with the Helo, the Android / iOS mobile companion apps work to close the gap between receiving and abnormal vital reading and getting the follow up actions. The Guardian function allows you to pre-set conditions that will automatically trigger an alert to yourself and your loved ones / caregiver. You just need to set upper and lower thresholds for your systolic/diastolic blood pressure, heart rate and breathe rate and the app will do the rest for you. Of course, you’ll first have to set up your guardian(s)’ contact details to use this feature. At the end of the day, it is not only the technology of the health and wellness band but also the thought put into developing a product that does more than just display pretty numbers on an app. Even as a tech person, I am more intrigued by the Guardian and Panic Button feature. P.S. I have ordered one for my wife too.